The Federal Communication Commission Chairman Ajit Pai outlined two new initiatives aimed at ensuring U.S. leadership in 5G and continuing efforts to close the digital divide. Pai announced his intent to create the Rural Digital Opportunity Fund, which he indicated would inject $20.4 billion into high-speed broadband networks in rural American over the next decade. The IRS released its long-anticipated second tranche of rules on Wednesday, and the regulations provide some clarity around using Opportunity Zones to invest in businesses. Specific examples include details on defining a business’ operations within a zone and funds’ ability to reinvest proceeds. However, further clarification is needed, including around investors’ treatment of interim sales, and additional changes are forthcoming. State funding for higher education has only halfway recovered in the 10 years since the Great Recession, according to a recent State Higher Education Finance (SHEF) report. The report also found that while higher education funding is stabilizing, the shift to greater reliance on tuition as a revenue source has leveled off, but remains higher than since before the Great Recession. As the technology behind renewable energy continues to advance, recent research finds that the public sector plays an important role in catalyzing innovation. This can be seen in three main ways: by funding basic research on renewable energy in all 50 states; by partnering with cleantech startups; and by supporting cleantech clusters through networks, commercialization assistance, and access to capital. Taken together, this recent research suggests that public-sector partnerships can complement industry’s role in growing the green economy at the federal, state and local levels. Concerns over national security have prompted the Treasury Department’s Committee on Foreign Investment in the U.S. (CFIUS) to force international investors to divest from two American tech startups, a move that will affect entrepreneurs and investors alike, according to a recent article by from Jeff Farrah of the National Venture Capital Association. As the American population ages — by 2035, the country will have more people aged at least 65 than under 18 — so do the country’s business owners. Over the past few years, several studies have attempted to measure how many companies may transition ownership over the next decade, with estimates ranging as high as 10 million small businesses. These studies generally agree that while changes are on the horizon, few companies are even as prepared as having identified a potential successor. Colorado and Massachusetts are stepping into this planning void with a suggestion of their own: transitioning interested small businesses to employee ownership. 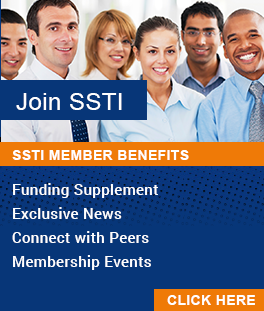 This week SSTI wraps up this year’s coverage of innovation-related initiatives covered in governors’ state of the state and budget addresses. This week Louisiana Gov. John Bel Edwards was the last governor to deliver a state of the state address in 2019, and he used his time to highlight the state’s surplus, a first since he has been in office. The governor is taking advantage of the new financial security to focus on funding for basics such as teacher pay and education among other things.